One of the worst parts of suffering from a debilitating disease is not knowing for certain where it comes from or what causes it. Such is the case of individuals suffering from Irritable Bowel Syndrome or “IBS.” For most of the individuals facing this illness, it may be frustrating getting tested only to know that everything in their system is normal and the cause or origin of their symptoms cannot be pinpointed. People suffering from this condition are always on the lookout for ways to treat and/ or alleviate the symptoms associated with IBS. We invite you to read on as we discuss the role medical marijuana (cannabis) may have in treating IBS and relieving some of its worst effects. What exactly is IBS and what does it entail? IBS, or Irritable Bowel Syndrome, is a common long-term disorder that can cause unpleasant and painful symptoms including abdominal pain, bloating (presence of gas on gaseous sensations in the stomach), diarrhea, and/or constipation. IBS is different from Inflammatory Bowel Disease (IBD), which includes Crohn’s Disease and Ulcerative Colitis, conditions marked by visible and measurable auto-immune changes. The main cause and/or origin of IBS is unknown, and scientists are still researching various factors to determine the source of this illness. There may be individuals who may be genetically predisposed to IBS. The central nervous system contains the brain and spinal cord, while the enteric nervous system is a web of neurons that controls the gastrointestinal (GI) tract. The study above is important because it helps to understand how the brain-gut relationship affects people with IBS. If there is a disruption in normal communication between these two important parts of the human body, problems like IBS may occur. Probiotics – The stomach is home to millions of bacteria that play a key role in the digestive system. However, there may be some types of bacteria that adversely affect the gut. That is where probiotics come into play. Certain probiotics can help regulate the digestive system, alleviating some of the symptoms associated with IBS. Prescription Drugs – Depending on the degree and severity of the IBS, a physician may prescribe medicine to help treat several symptoms, such as diarrhea, bloating and constipation. For these conditions, anti-spasmodic, antidiarrheals, and laxatives are commonly prescribed. Mental Health Consultation – Due to IBS’ potential psychological effects, certain individuals may opt to undergo counseling or behavioral therapy to find a way to cope with their condition. You’re probably wondering, how does medical cannabis can help patients suffering from IBS? Medical marijuana does not cure IBS. However, it could be beneficial in alleviating the symptoms and enabling patients to enjoy a better quality of life. To better understand how medical cannabis can help, it is important to understand the endocannabinoid system and its role in the human body. The endocannabinoid system or “ECS” is comprised of a bunch of receptors on various cells that are triggered by our own internal cannabinoid neurotransmitters. Yes, we have internal cannabinoids! It is because we have our own system that we can use cannabis-derived cannabinoids to treat illness. Of the more than 100 chemicals found in cannabis, the most researched are THC (or tetrahydrocannabinol) and CBD (or cannabidiol). These two components, both of which are cannabinoids, have different effects on the human body. For instance, THC can be used to treat symptoms associated with chemotherapy in cancer patients. CBD, at very high doses, is an anti-inflammatory and can help with anxiety. The evidence for treating IBS specifically is sparse at this time. We’re beginning to see clinical experience suggesting effectiveness. Much of this effect appears to be related to a group of conditions that often go together. Another study published in 2016 by Neuropharmacology stated that “Cannabidiol (CBD), the main non-psychotomimetic component of mari[j]uana, exhibits anxiolytic-like properties in many behavioral tests,” suggesting that this component in cannabis can help reduce stress-like symptoms which many people with IBS may suffer. (An “anxiolytic” is a drug that helps to treat anxiety.) However, further investigation on this matter is still necessary. Clearly, more research remains to be done. However, many patients with IBS appear to be getting benefit from the low-dose, controlled application of cannabis. This may be one of many potential benefits of medical marijuana for certain patients. However, it is absolutely important that you always consult with a cannabis specialist before deciding to use medical cannabis. She or he will help you decide if cannabis is likely to help, what kind to get, how to use it properly and safely, and be available to you to adjust the plan as time goes by. As stated before, there is no cure for IBS, and that includes cannabis. However, the possible link between the endocannabinoid system, endocannabinoid receptors, and the cannabinoids found in medical marijuana may provide relief from some of IBS’ symptoms. 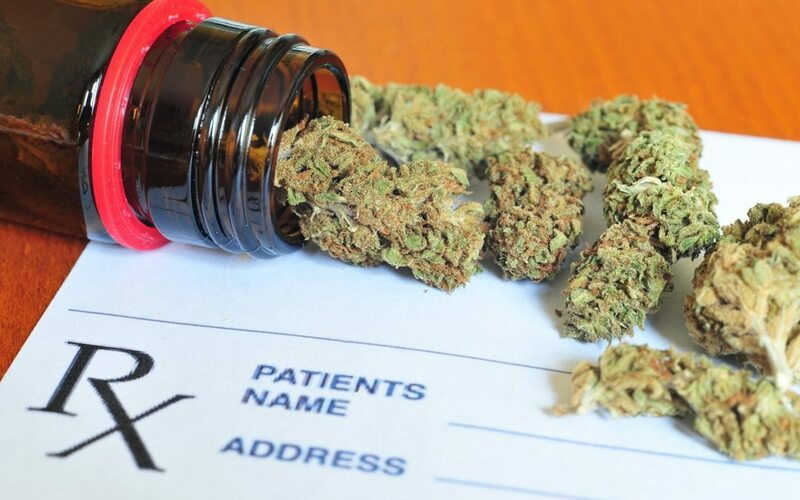 If you have further questions regarding the use of medical marijuana in Massachusetts and how it could benefit you, call Inhale MD at (617) 861-8519.